Are you suffering hip pain that’s limiting your mobility? Would you like professional and practical advice from an expert therapist with over 2 decades of experience in helping patients like you conquer their hip pain? Our Tips for Hips courses and videos are designed with you in mind! Offering you unlimited online video access from any device to help you understand your injury and exactly what to do about it. Videos include expert practical tips to reduce your pain, postural advice and tailored physiotherapy exercises to guide you back to doing the things you love without hip pain limiting your life. Do you have pain on the outer hip that’s disrupting your sleep? Is your outer hip pain limiting your walking? Our six-step healthy hip program offers a more extensive online 6-week course outlining the exact exercises, practical daily expert tips and stretches you need to conquer your outer hip pain from trochanteric bursitis or gluteal tendon problems. Are you interested in meditation, but convinced you can’t possibly do it as you can’t silence your thoughts? This course outlines practical tips and tools to start your meditation practice- all based on neuroscience! This course includes simple explanations on how your brain influences your pain and tips to start reducing your pain now. 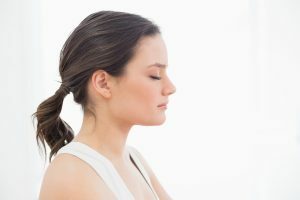 It also includes unlimited lifetime access from any device to physiotherapy videos to understand and reduce stress, a step by step easy to follow and practical video guide to understanding mindfulness meditation, as well as access to eleven different guided meditation audio tracks to assist you with your pain relief. Are you interested in yoga or pilates but not sure where to start with your injuries? Would you like to access your own yoga and pilates class that you can do from the comfort of your own home? Look no further! These short physio classes are available for unlimited access from any device. The classes combine yoga, physio, pilates and guided relaxation for the management of different injuries. Perfect for beginner to intermediate yogis and those seeking gentle guided yoga-physio and pilates exercises for the management of pain or injury. Yoga- Pilates for Neck and Shoulder Pain Find out More! Yoga- Pilates for Flexion Related Lower Back Pain Find Out More! Yoga- Pilates for Extension Related Lower Back Pain Find out More! Yoga- Pilates for Hip and Groin Pain Find Out More! Are you a therapist treating patients with hip pain? Would you like unlimited access to professional online learning to help you with your hip patients? Join Nichole Hamilton in improving your understanding and skills in the treatment of hip pain, with her easy access online video tutorials. Understanding FAI Find Out More! Rehabilitation following hip arthroscopy Find Out More! Nichole also runs regular one day workshops for therapists in Sydney and Melbourne. Contact us for her next workshop date! Are you interested in exploring Synergy Physio’s online resources? We have free videos, courses, information for therapists and more. Explore our online teaching portal and sign up with your own free log in to access our resources.